We get glimpses into the relationship of each couple we photograph. It’s what makes the intimate moments of the wedding day that much sweeter. Early on, Vanessa shared with us just how much she loves the color pink. We should be clear that is a LOT. Pink accented every encounter we had together and was incorporated into every detail of the wedding day. She wore it to her engagement pictures, she picked it for the bouquets, and she had the women standing beside her adorned in it too. 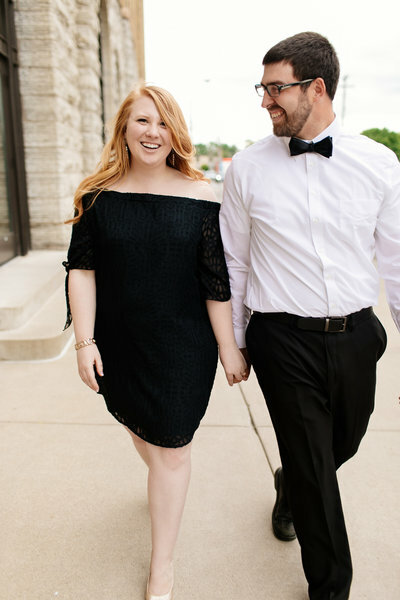 Vanessa and Matt decided that in lieu of doing a first look, they would simply write letters to one another that they’d read the morning of their wedding. When Vanessa opened her letter, the paper she pulled out of the envelope was lined with a pink trim. We couldn’t help imagining what Matt must have looked like buying that paper. Most likely he was running up and down the aisle at Target in search for the perfect pink notepad. That gesture even had us tearing up! When a person is intentional and thoughtful down to even the little details within a sweet gesture, it can truly make someone feel seen, known, and loved. How clear and deep was the love Matt had for his beloved bride. We know incredible things are in store for this sweet couple and their marriage. Life for them will always be beautiful in the details.